A country famed for casinos, Macau is home to some of the most glamorous (and expensive!) hotels in the world. While not particularly backpacker-friendly, it is most definitely worth spending a few nights in Macau. 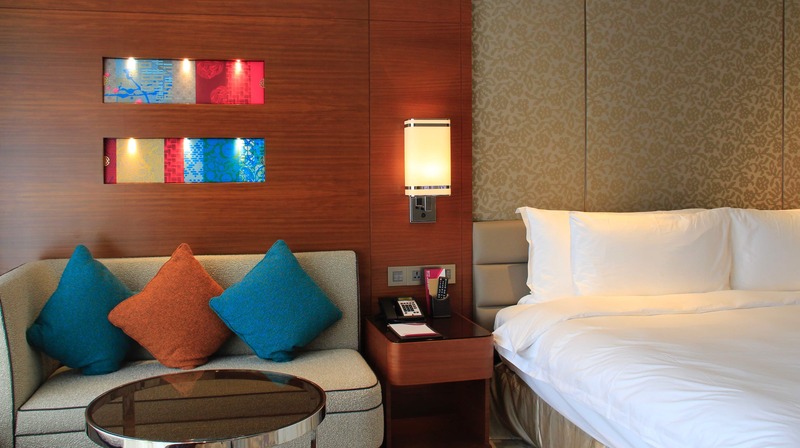 Absorb yourself in the glitz and glam. Pamper yourself. 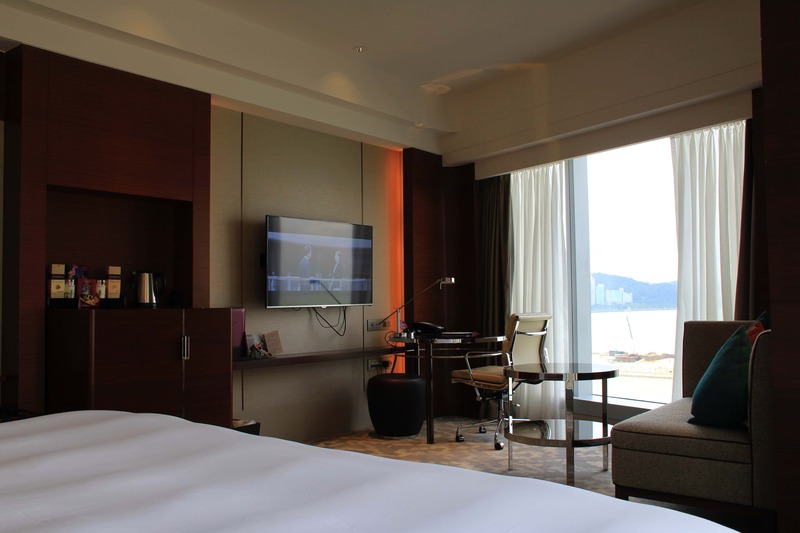 We did so by staying at the newly opened Crowne Plaza Macau. Centrally located, and with seaside views, this hotel should not be missed. Macau is an easy, affordable trip from Hong Kong, with the ferry being just over an hour, so there’s no excuse not to visit. The best part? Most of the big hotel chains and casinos provide free shuttles from the ferry terminal, the Crowne Plaza included. Upon entering the hotel, we were greeted by their extremely friendly and helpful staff who swiftly checked us in, offered us a free upgrade, and directed us to our rooms. 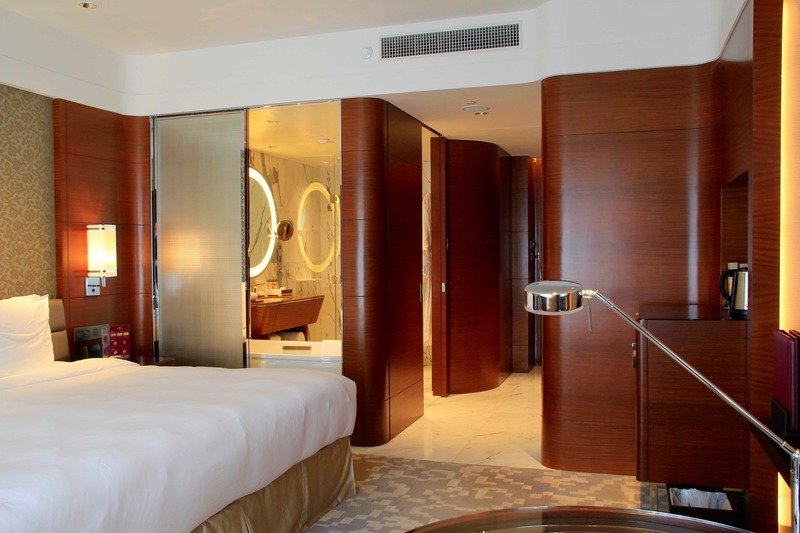 The rooms are absolutely exquisite at the Crowne Plaza. Open the doors to a spacious room with a beautiful king-sized bed. Pull open the curtains, look out onto the sea, and take in the view. 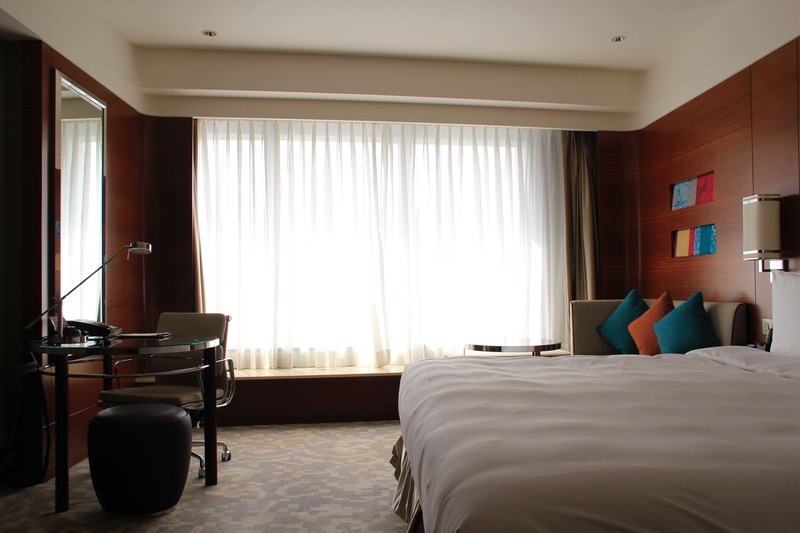 Each room is equipped with high speed WiFi, a flat screen TV with satellite channels, and a desk. What I found most unique was that there was a cord attached to the TV that could be hooked up to your computer, should you want to watch a movie or go over a presentation on the big screen. 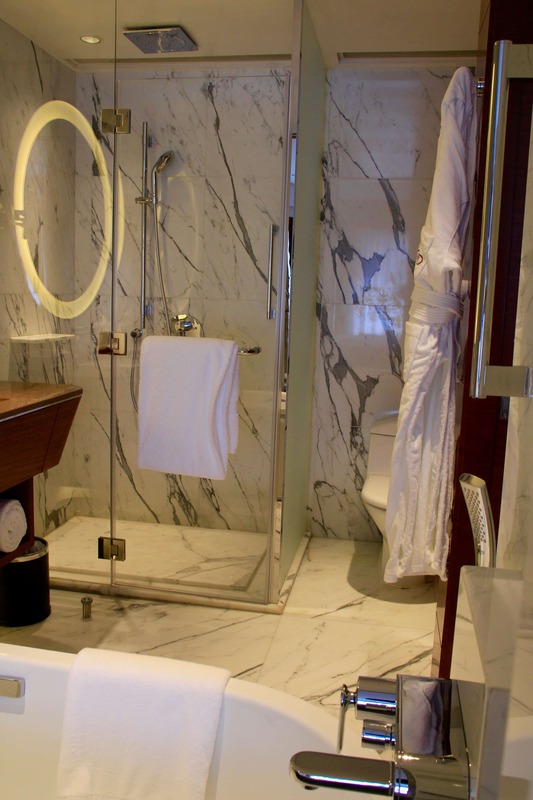 The quality of the Crowne Plaza Macau doesn’t stop in the bedroom, but shows in the bathroom as well. While I could spend all day lounging in the room alone, the building is too beautiful not to explore. 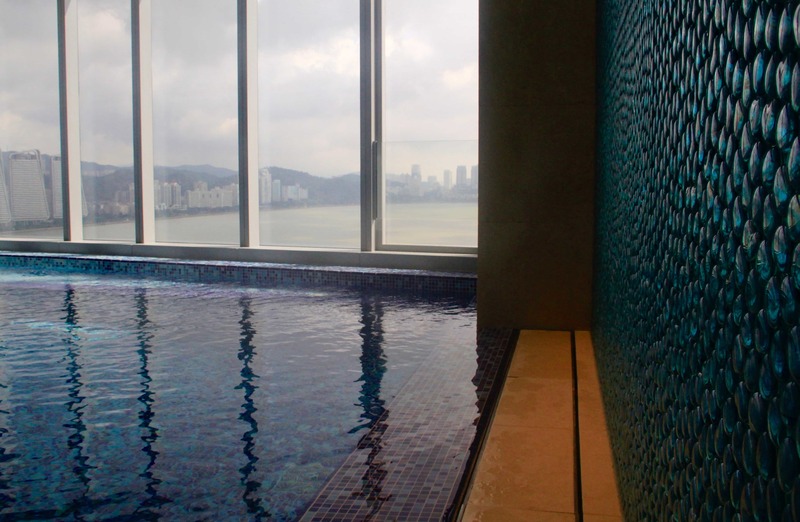 On this trip, I’ve been particularly loving hotel gyms, and the gym at the Crowne Plaza Macau is no exception. 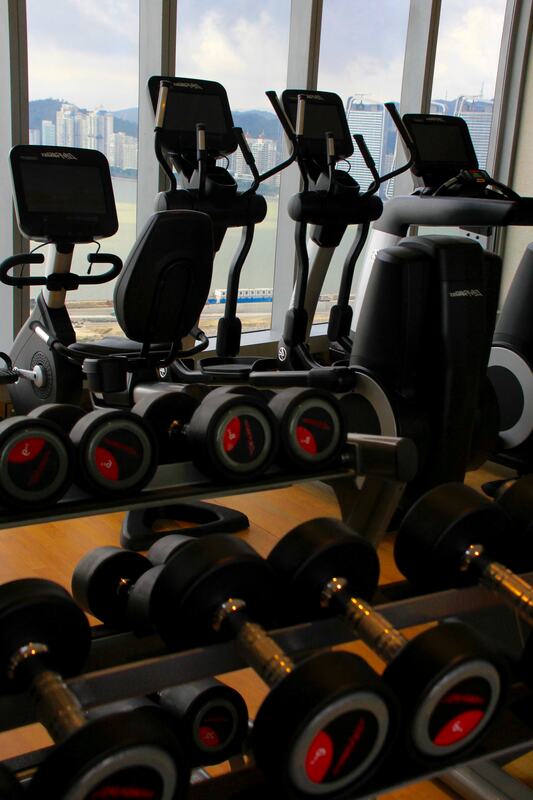 Located on the 17th floor, this gym offers sweeping views of the sea — what could be a better backdrop for exercise? 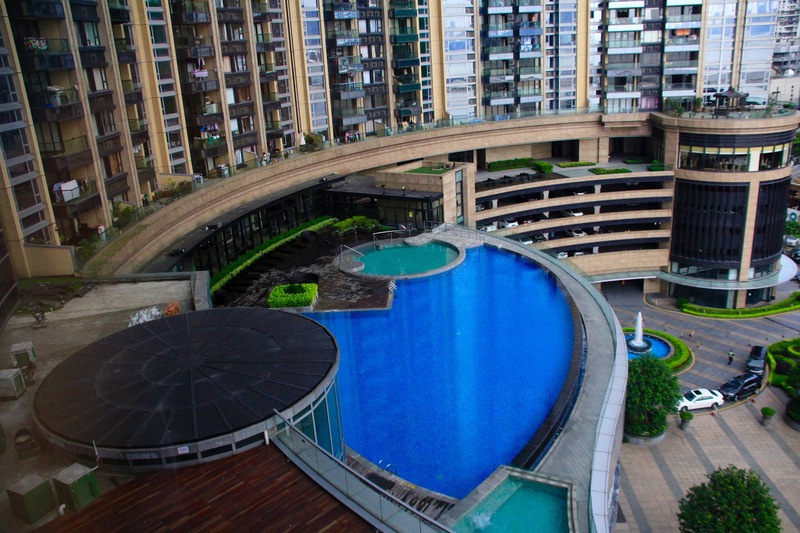 If you don’t feel like getting sweaty in a humid city, they also have both an indoor heated pool and an outdoor pool — perfect for a refreshing dip! 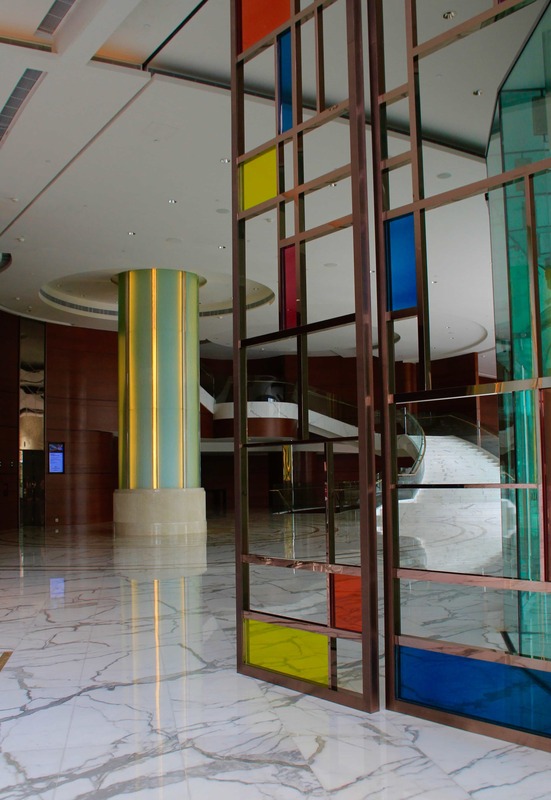 For those headed to Macau for business, the Crowne Plaza houses five multi-function rooms and a grand ballroom. If you’re looking to host an event, they can even put together a whole banquet menu. The spot is gorgeous! 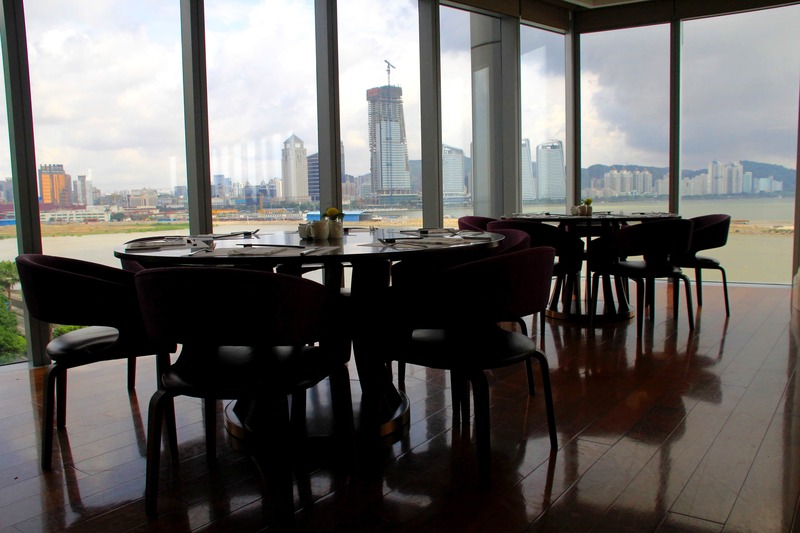 The Crowne Plaza Macau has two dining halls: Café Azure and the Imperial Kitchen Chinese Restaurant. 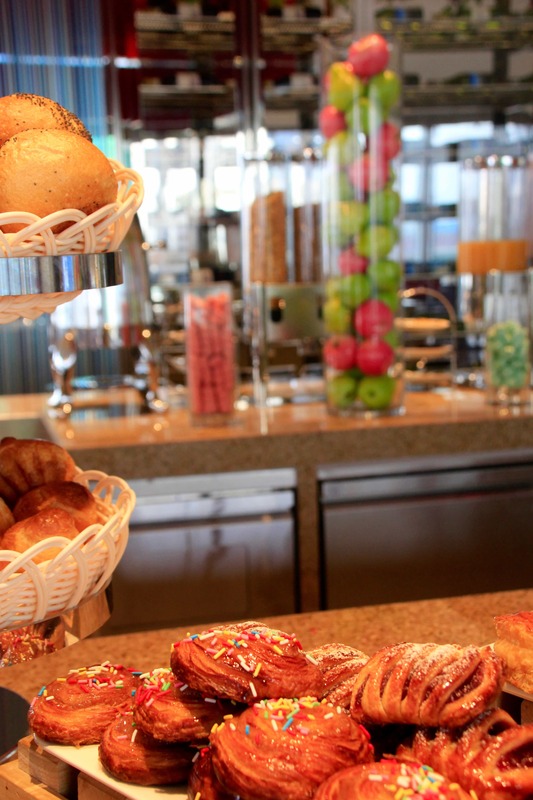 Café Azure offers all day buffets featuring both international and Asian cuisine The Imperial Kitchen should not be missed. It’s so popular, in fact, that we couldn’t secure a reservation on a Sunday evening! Elegant and upscale, this restaurant mixes culture and authenticity beautifully. Run by award-winning Executive Chef Wu Yu Ching, you’re bound to enjoy the signature dishes of the Crowne Plaza’s Imperial Kitchen. 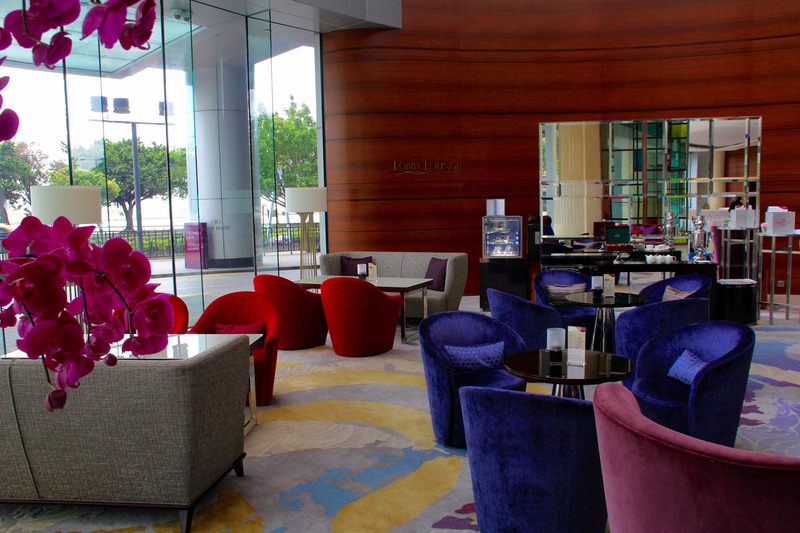 One of the things I loved most about my stay the the Crowne Plaza Macau was its location. It was just slightly outside of the noisy center filled with gamblers, but close enough that it was just a short five minute taxi away. The area is very peaceful and easily accessible. If you have the time, I suggest walking the UNESCO World Heritage Trail in reverse, ending at the Macau Tower, and then bungying off it. 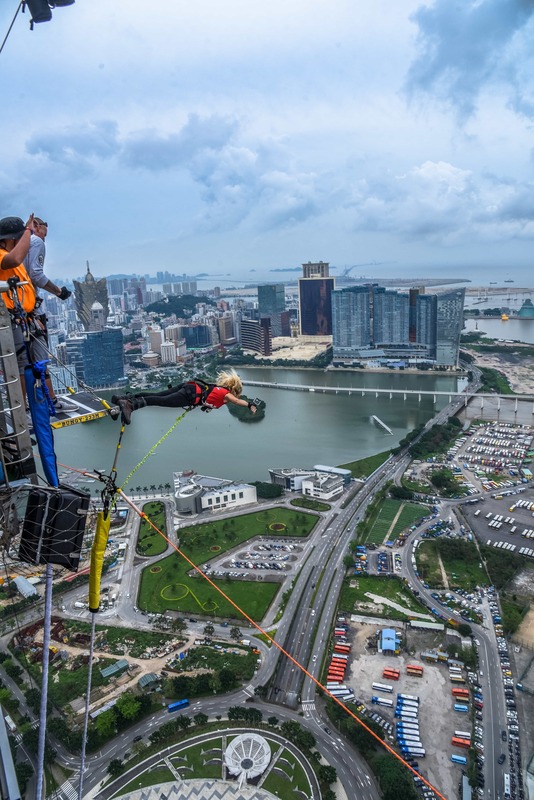 Who wouldn’t want to do the world’s highest bungy jump?! 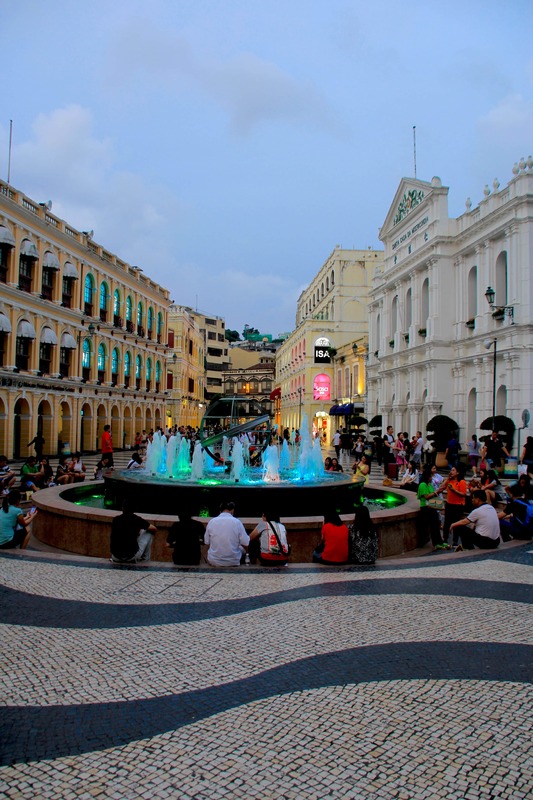 Contrary to popular belief, one night just wasn’t long enough to spend in Macau! I already look forward to the next time I get to explore this Portuguese-influenced country and UNESCO designated downtown, all while basking in the comfort of the Crowne Plaza Macau. 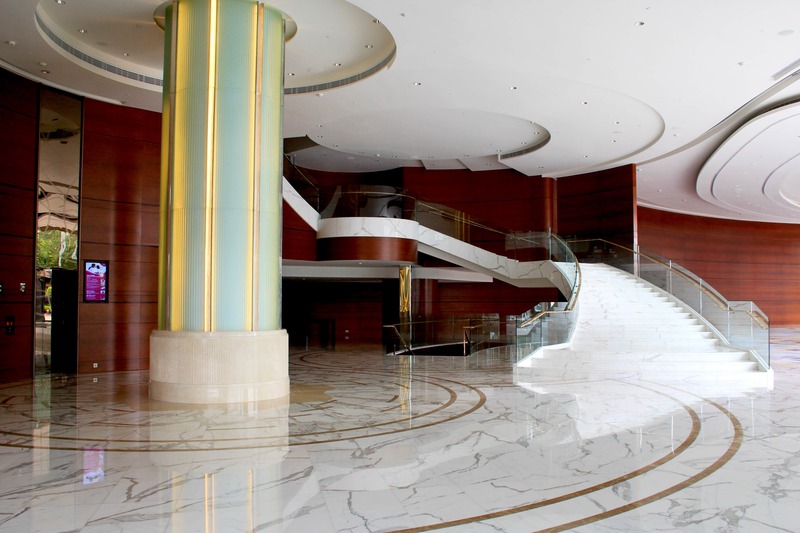 Interested in Crowne Plaza Macau? 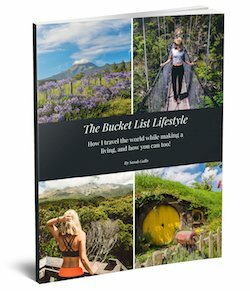 Pin It Please! 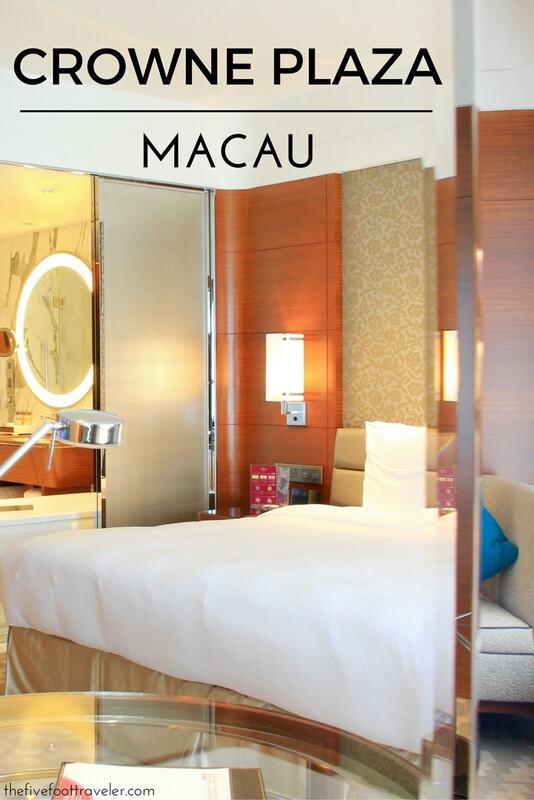 **Special thanks to Crowne Plaza Macau for sponsoring our stay. As always, all opinions are my own.